This symposium will bring together activists, policy makers, police leaders and academics, into a neutral setting in which alternative methods will be developed. From the G20 protests this June in Toronto to the recent events in North Africa, the past year has put a spotlight on protests. Pictures from the G20 in June show repeated episodes of conflict between activists and police officers. Alternatively, pictures from Egypt show the military on tanks accepting roses from protestors. These events raise questions about the role of protests in effecting social change. Beyond Control a conference studying protestor police interaction, aims to develop ways to improve protestor-police relations. The conference will be held at Saint Paul University in Ottawa from October 23 - 25, 2011. This symposium will bring together activists, policy makers, police leaders and academics, into a neutral setting in which alternative methods will be developed. Featured speakers will include P.A.J Waddington, a Professor from the United Kingdom Social Policy Research Institute. Members from the organizing committee include professor Vern Neufeld Redekop, the author of Beyond Control: a Mutual Respect Paradigm between Protestors and Police and the former Deputy Police Chief of Ottawa, Larry Hill and M.A students Krista Schneider, Jay Heisler and Chris Blackmore, who have experience with protest movements. -	What should a pan-Canadian policy incorporate for policing methods used in protests? -	What aspects of police training need to be altered to set the tone for a respectful interaction between police officers and social activists? -	What can be attributed to the different approaches to policing protests between different police forces? improving police / protestor interaction? -	What are the trends and changes in protest activity? -	What nations demonstrate enlightened methods of policing protests? 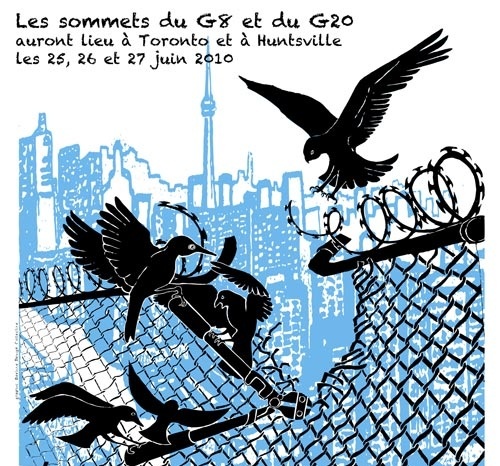 -	Does the policing of ‘G20’ protests differ from policing methods used in other contexts? -	How can policing methodology enhance or negate political causes of activists? -	What are the major issues of social change protestors are advocating? -	How have social media tools changed how social activists and police forces plan for protests? -	Have social media tools strengthened protests? -	How have protests been framed in the media? -	How can activists and police initiate trust and mutual respect between each respective group? -	How can activists and police officers deal with the ‘spoilers’ of each group? -	How can police officers balance their orders with broader social demands? -	How can activists balance the beliefs of their cause with respect to others who hold a different perspective on the matter? Please use plain text (Times Roman 12) and abstain from using any special formatting, characters or emphasis (such as bold, italics or underline). We acknowledge the receipt and answer to all paper proposals submitted. I improved the way the text was pasted.